Services provided by PHI are conducted by Norman S. Braithwaite, PE, President, owner and founder of PHI. Mr. Braithwaite has complete control of and full responsibility for all services. As such clients are assured of high quality services conducted by a well qualified, experienced individual. 1987 – Present: Owner and principal of Pacific Hydrologic Incorporated. 1986 – 1987: Engineer, TKO Power (developer of small hydropower projects). Duties included evaluation, design, and operation and maintenance of several small hydroelectric power plants. 1981 – 1987: Project Engineer, Ott Water Engineers. Duties included hydrologic and hydraulic analysis, report preparation, feasibility studies, and civil design of numerous projects including small hydroelectric projects, FEMA and private flood studies, dam break flood studies, habitat enhancement studies, combined sewer overflow studies, and other projects. "Stream Channel Instability, Cultural Influences and Watershed Planning", Proceedings, Floodplain Management Association 23rd Semi-Annual Fall Conference, September 2002. "Bridge Design Considerations – Non Proximate Geologic Hazard" (related to flooding). Journal of Floodplain Management, V3, N1, July 2002. 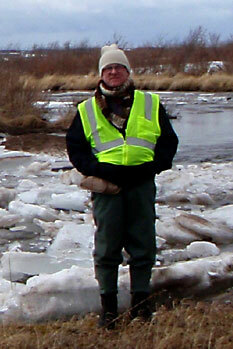 "Design of Stream Crossings Meeting New National Marine Fisheries Service Guidelines". Journal of Floodplain Management, V2, N2, April 2001. “Bridge Design Considerations – Flood Risk”, Journal of Floodplain Management, V2, N1, July 2000.